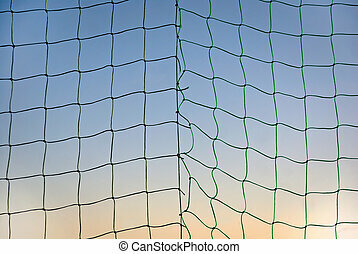 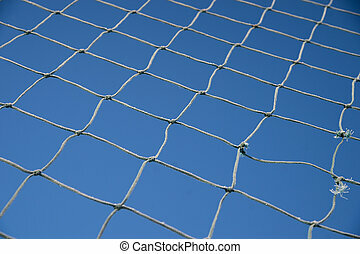 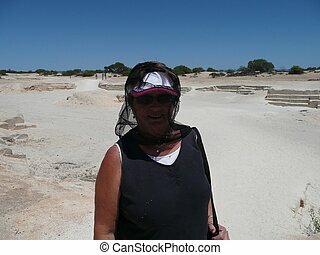 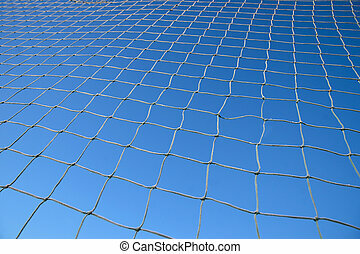 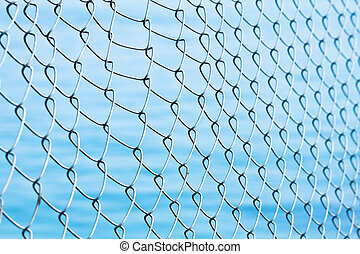 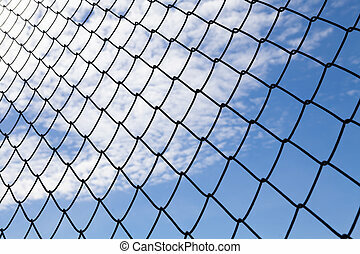 Blue protection net. 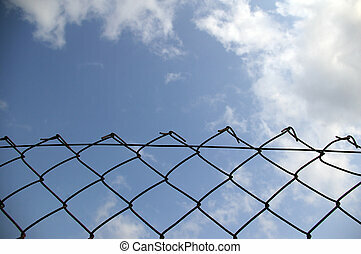 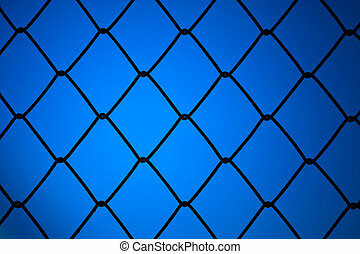 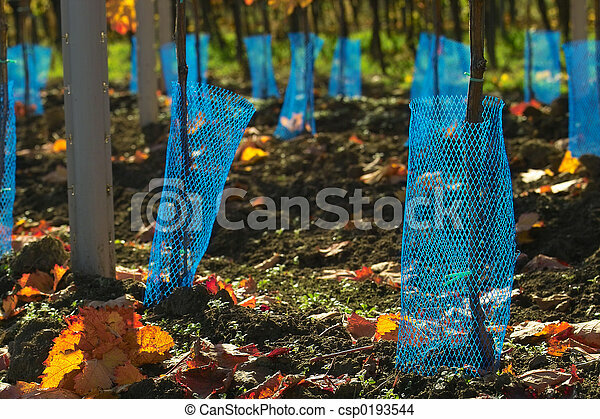 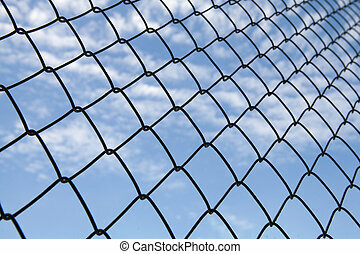 Extreme close-up of the blue protection net for young wine grapes. 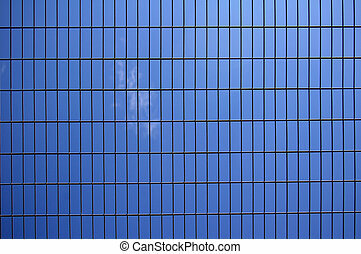 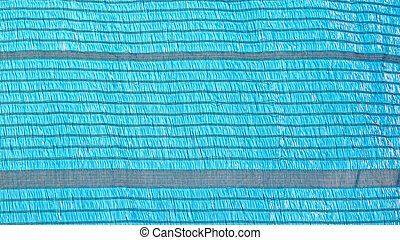 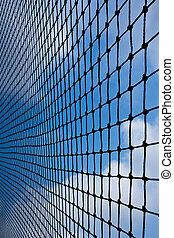 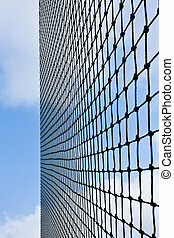 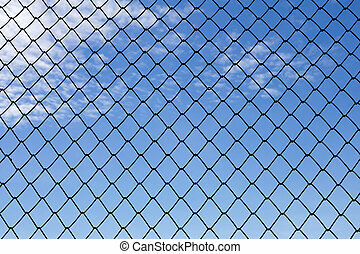 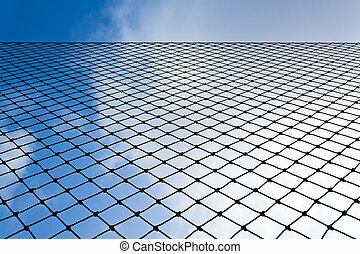 Net sun lighting protection blue color or for background to use.